Jump behind the wheel of a Mazda CX-3, and you’ll immediately feel its charisma and energy. 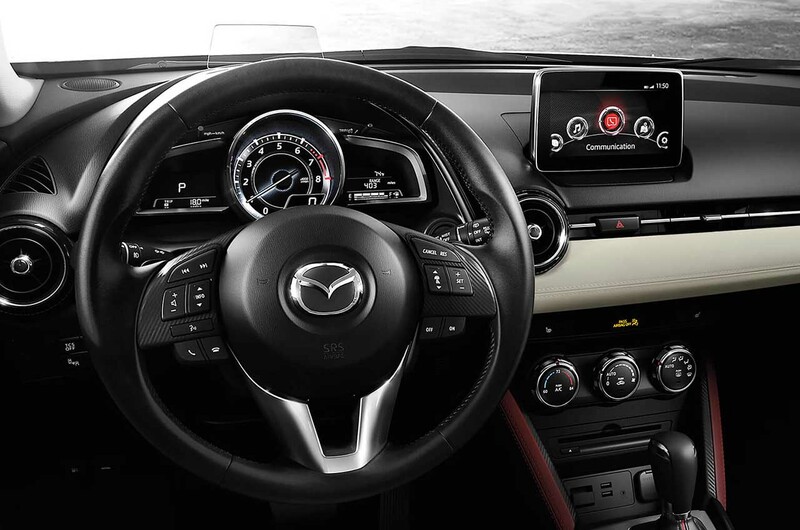 The Mazda CX-3 interior is designed for adventure, yet it’s refined, too. It contains a number of unexpected details and features that come together in a way that makes you want to keep on driving. At Biggers Mazda, we pride ourselves on our large inventory and well-trained staff, so if you’re ready to check out the only compact SUV you need to see, come on down and see us! Think of the Mazda CX-3 as a modern take on a small SUV. It’s stylish with flowing lines, yet the interior has a bit of elegance about it. Tastefully designed with well-balanced proportions, the interior also boasts colors and fabrics with a sporty, athletic personality. 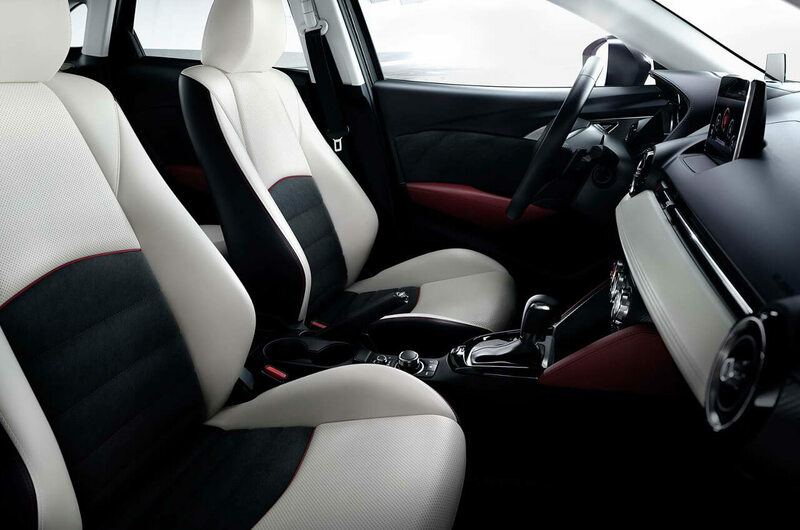 Tiny details like symmetrically placed foot pedals and available stitching belie the affordability of the Mazda CX-3. The entire cabin features a driver-centric design, with a futuristic dash and displays. While it’s a compact vehicle, the Mazda CX-3 takes the space it has and uses it creatively. It offers seating for five and the ability to fold the rear seats down in a 60/40 split setup. If you need to move a lot of cargo, then the Mazda CX-3 can handle 44.5 cubic feet of cargo volume with the second-row seats folded down. This gives you all the advantages of a compact, plus the flexibility to handle more if you need to. 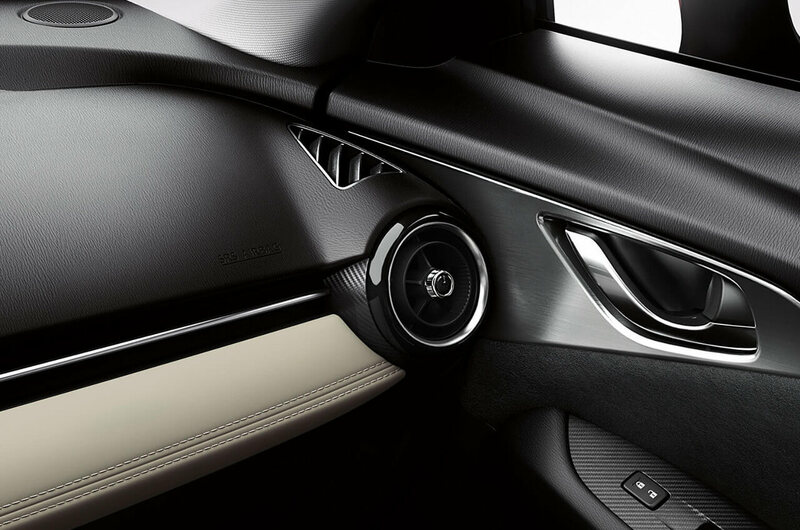 The base level Mazda CX-3 is pretty much loaded with all the features you expect – air conditioning, power windows with driver one-touch down/up, and power door locks. Push button start and cruise control with steering wheel-mounted controls are more big conveniences. You’ll love the remote keyless entry illuminated system that answers you back to confirm you’re set. The higher level trims offer some upscale touches, including Mazda’s Advanced Keyless Entry System, leatherette-trimmed sports seating, leather wrapped steering wheel, Active Driving Display for your windshield, red suede trim, and more. 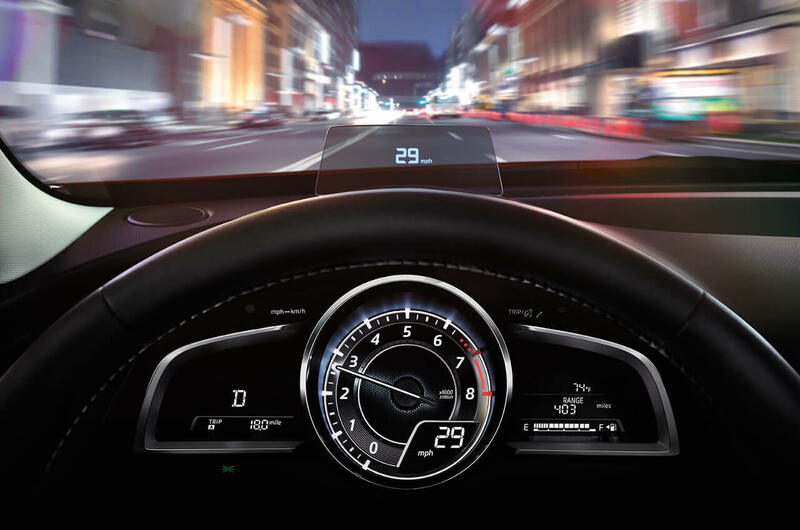 MAZDA CONNECT™ comes standard on every Mazda CX-3, and this innovative communication system provides information, entertainment, and smartphone integration via a color touch screen display. The centralized commander control knob allows you simple access to the various functions, and you can even customize short cuts to make the things you do all the time fast and easy. We said the Mazda CX-3 was fun, and its available Bose® Surround Sound audio system pumps out all the music you need for an awesome driving experience. Choose the radio, MP3 devices, CD’s, or available SiriusXM Satellite Radio. Now’s your chance to see the Mazda CX-3 interior and everything it has to offer. Come on down to Biggers Mazda, and we’ll show you this vehicle’s sporty, athletic side. You can see all the features and technology in action, and then you’ll be ready to love this SUV as much as we do! Give us a call at (888) 638-7855, or contact Biggers Mazda online today!